Kata Beach and its glistening bay are a short ride south of Karon Beach and one of Phuket’s leading tourist attractions. The beach is curved and wide, lined with palm and pine trees, and making it a very picturesque and beautiful attraction, highly popular with visitors from around the world. It is also a popular diving site for beginners doing their first open water dives. From May to October, Phuket’ surfers meet on Kata beach to catch good and safe waves. From November to April the beach is alive with sun seekers and families who favour that quieter and less obtrusive beach spot. As a surfing spot, Kata is well catered for with board hire shops and safety inspectors. 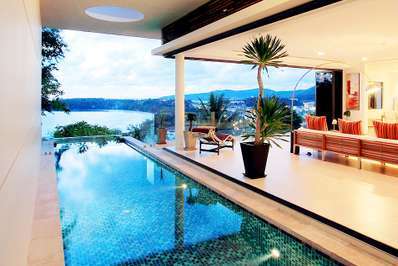 Contact the local Phuket tourism authority to keep up to date with the waves. Aside from the attraction of the beach, Kata is an all year round favourite due to its wide array of restaurants, lively but not in your face nightlife and multiple accommodation options ranging from all prices and all close to the beach. Kata is separated into two areas. At the northern end is Kata Centre and then there is Kata South. The Club Med property runs up most of the beach road which ensures low rise construction and a long and pleasant footpaths shaded by pine trees. 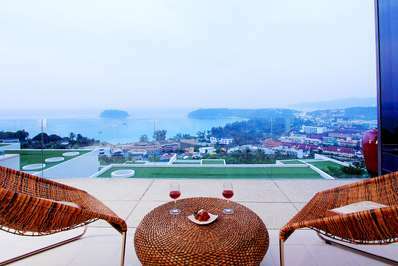 Visitors will find plenty of clothing and souvenirs shops, local mini-marts, brand name fashion stores and trendy coffee shops with broadband internet access and shaded terraces on both sides of Kata, as well as restaurants and accommodation. Phuket Vegetarian Festival - The Phuket Vegetarian Festival is an annual event held during the ninth lunar month of the Chinese calendar. It is believed that the vegetarian festival and its accompanying sacred rituals bestow good fortune upon those who religiously observe this rite. During this time, local residents of Chinese ancestry strictly observe a 10-day vegetarian or vegan diet for the purposes of spiritual cleansing and merit-making. Sacred rituals are performed at various Chinese shrines and temples and aesthetic displays such as walking barefooted over hot coals and ascending ladders with bladed rungs are performed by entranced devotees known as "Ma Song." There are also plenty of dive shops and tour operators are at hand to assist those looking to additional adventure on dry land or beyond the beach. Phuket is one of Asia’s most popular dive locations, and Kata Beach is an ideal spot to take the plunge: safe, clean, and well managed. Ask to see Dive Master and Instructor certificates from your company and ask for those that employ international staff in the interests of ease of communication. 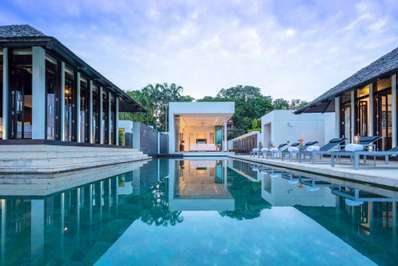 Kata Beach offers a range of villa rental opportunities for all tastes. 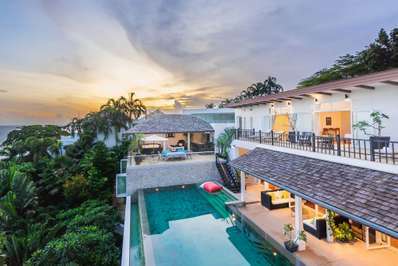 As a leading destination in Phuket, villa operators are conscientious in providing competitive rates and top facilities, with easy access to the delights of Kata. 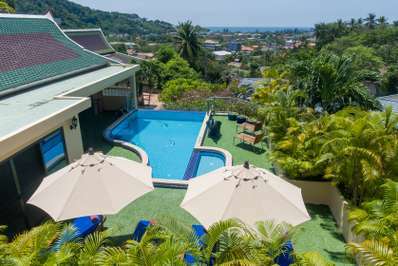 Kata is recommended for those who wish for a quiet but not too removed holiday in the sun. There’s plenty of room to escape for some peace, while at the same time, shops and amenities are close by, alongside plenty of entertainment. We’re sure you’ll be tempted by the diving; too once you see the wonderful underwater photography displayed around town.